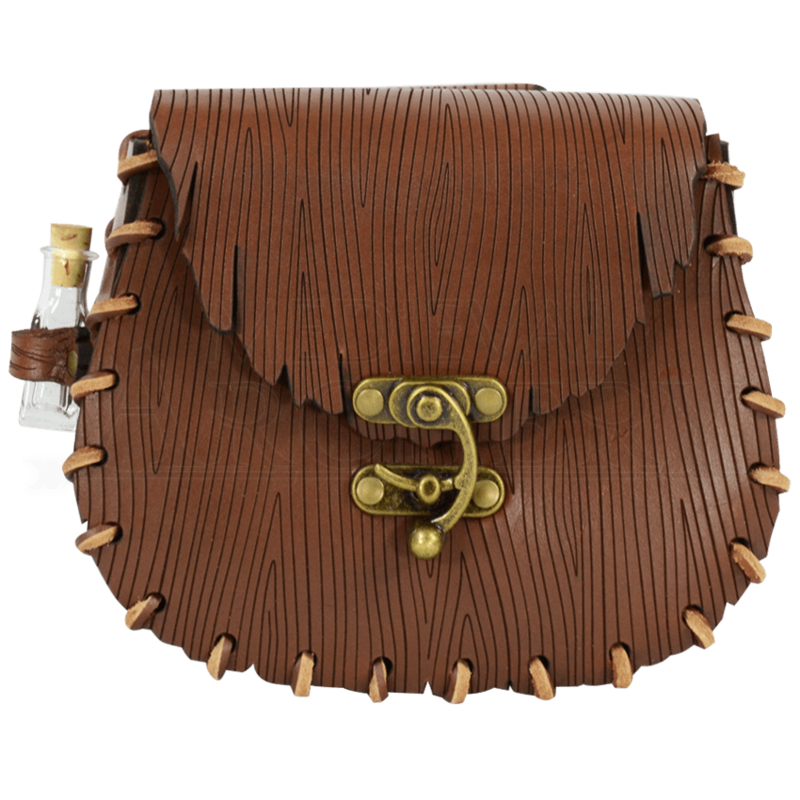 An extraordinary accoutrement to accent your fantasy style, the Woodland Adventure Pouch is perfect for securely storing small items with its latching antique brass clasp and attaches easily to belts up to 2 inches in width. Both the front and back of this pouch are ornately engraved with a realistic wood grain pattern which emphasizes the appealing look of nature. 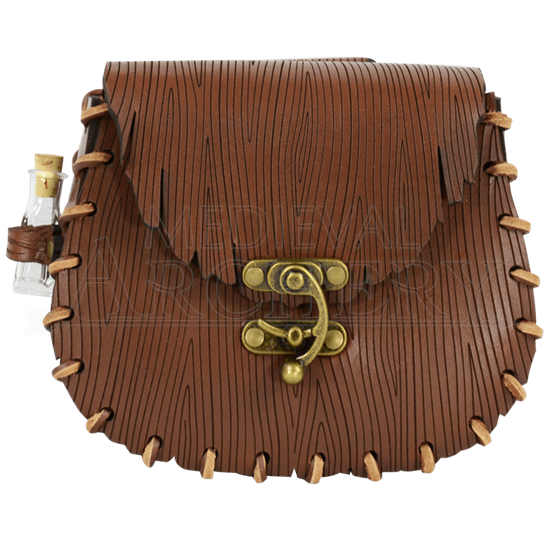 Included with this pouch is a small glass vial which is extraordinary for storing various potions or powders to aid you on the battlefield and can be securely stored in a holster on the side of this pouch for quick access. This pouch has a belt loop on the back to allow for comfortable carrying, while displaying the beautiful design on the front. It is constructed from 8/9 ounce medium brown leather and laced together with matching leather laces to provide superb durability. Keep your modern goods safely concealed with the Woodland Adventure Pouch and maintain the authenticity of your look.